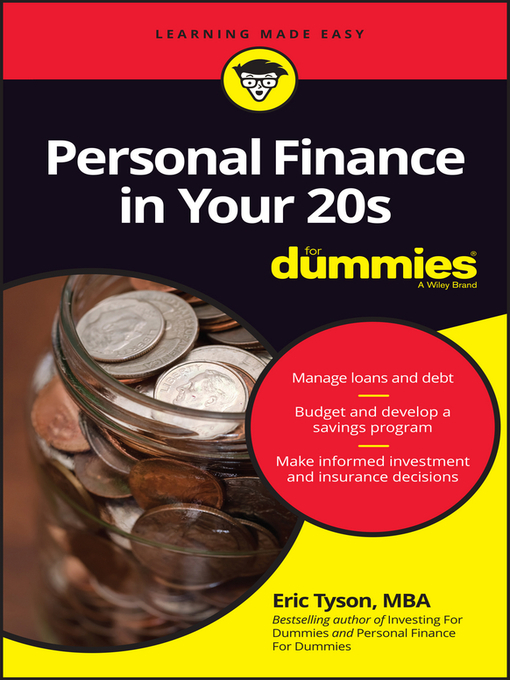 Personal Finance in Your 20s For Dummies (9781119293583) was previously published as Personal Finance in Your 20s For Dummies (9780470769058). While this version features a new Dummies cover and design, the content is the same as the prior release and should not be considered a new or updated product. A little money and a little time is all that's needed to lay a strong financial foundation for today and the future. And starting sooner rather than later is the smartest thing you can do when it comes to protecting your financial future. If you're in college or enjoying your twenties, Personal Finance in Your 20s For Dummies cuts to the chase, providing you with the targeted financial advice you need to establish a firm financial footing as you work your way through school and the post-graduation years. If you're looking for sound, reliable advice on how to make smart financial choices in the real world, Personal Finance in Your 20s For Dummies has you covered.